We are foolish enough to sail in crazy weather but this year even our level of crazy is not enough. The pond is still frozen over and the city has cleared the access by piling all the snow next to the pond. The April Day Fools event will be rescheduled when the ice leaves the pond and we can gain access to place the marks. This photo taken recently shows the state of affairs. 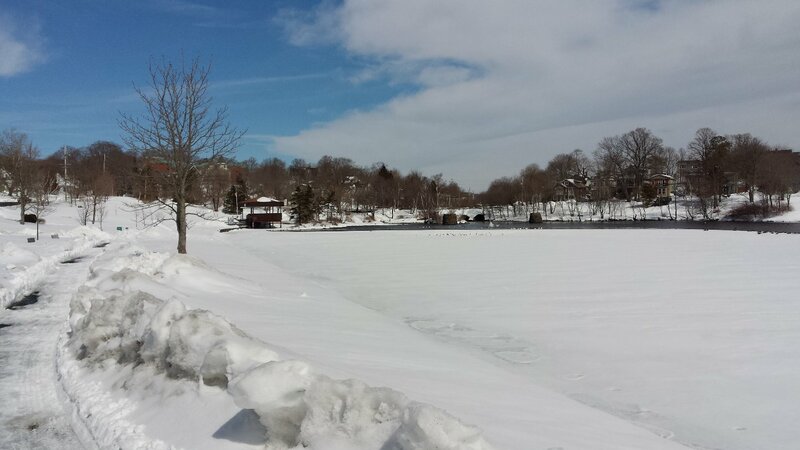 There is some open water and it will not take long to melt. Remain optimistic!